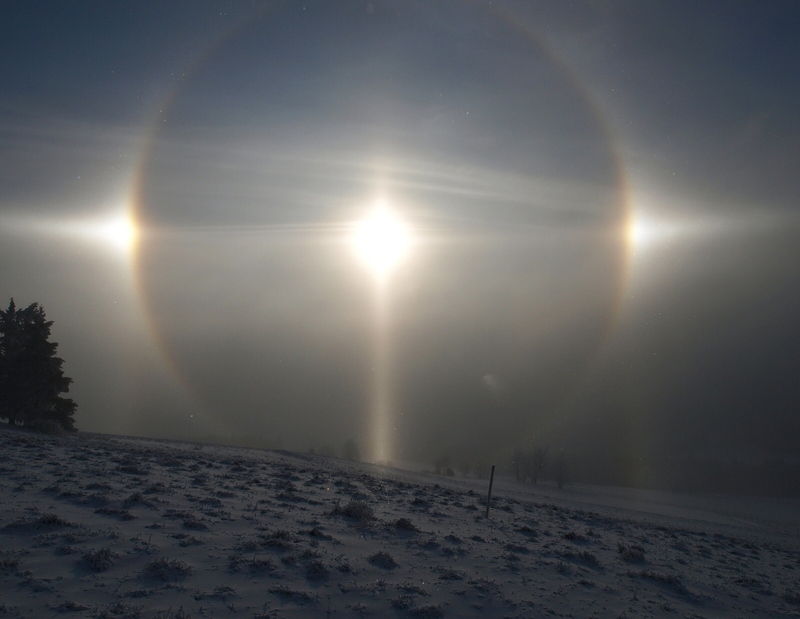 On December 23, 2007 (1:40 – 3:50 pm) Ladislav Nyc observed during his afternoon walk bright halos in diamont dust. 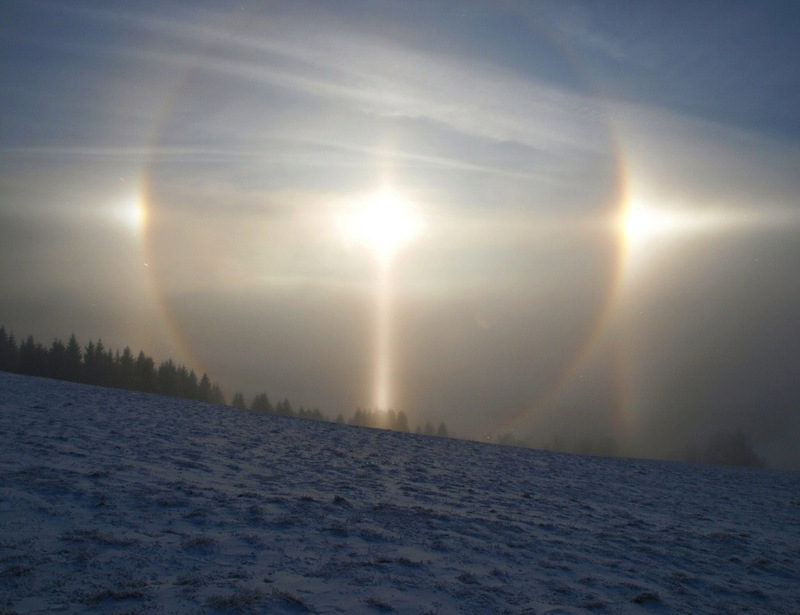 When he went up from inversion cloudiness to see sunrays, on the hill of Pansky Vrch a great spectacle came along. 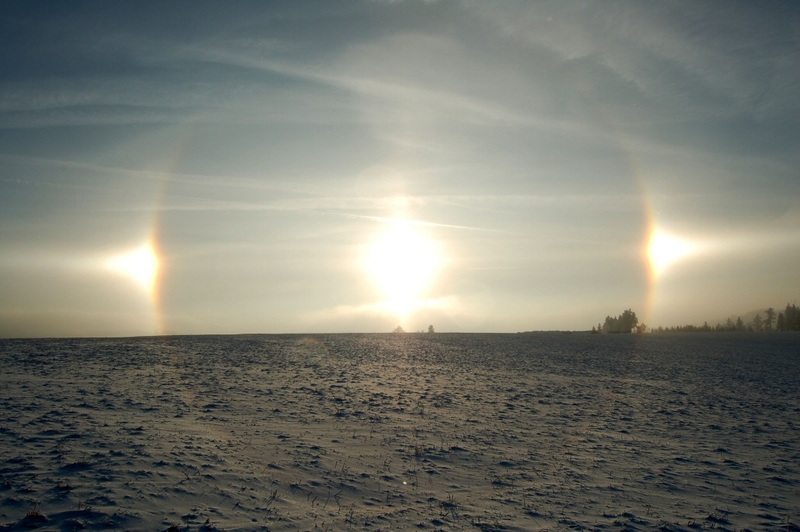 Except for frequent halos like pillar, 22° halo, parhelia and upper and lower tangent arcs also subhalos were visible: bright subsun and subparhelia with arms of parhelia. 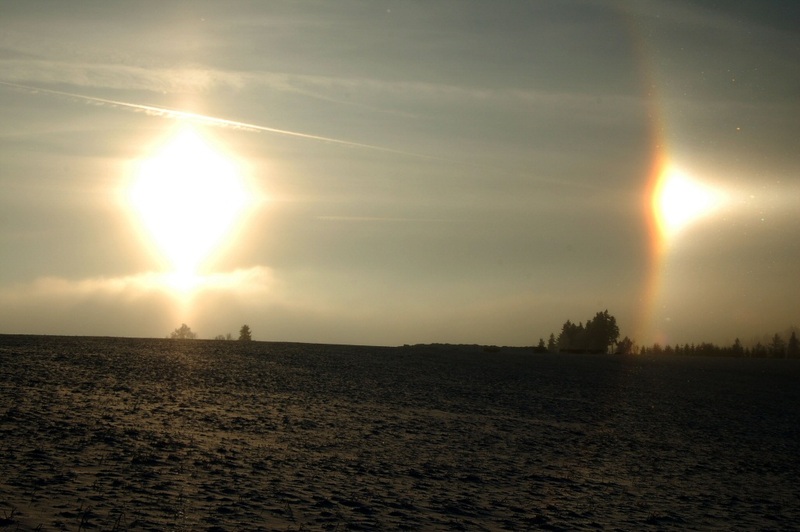 These arms of parhelia, which join subparhelia and parhelia of 22° halo, are the first ones observed in the Czech Republic. More photos ( 1 - 2 - 3 ). Also Stanislav Bernard in Sedlonov saw halos during his walk around Orlicke hory, mountains in the north part of the Czech Republic ( 1 - 2 ). 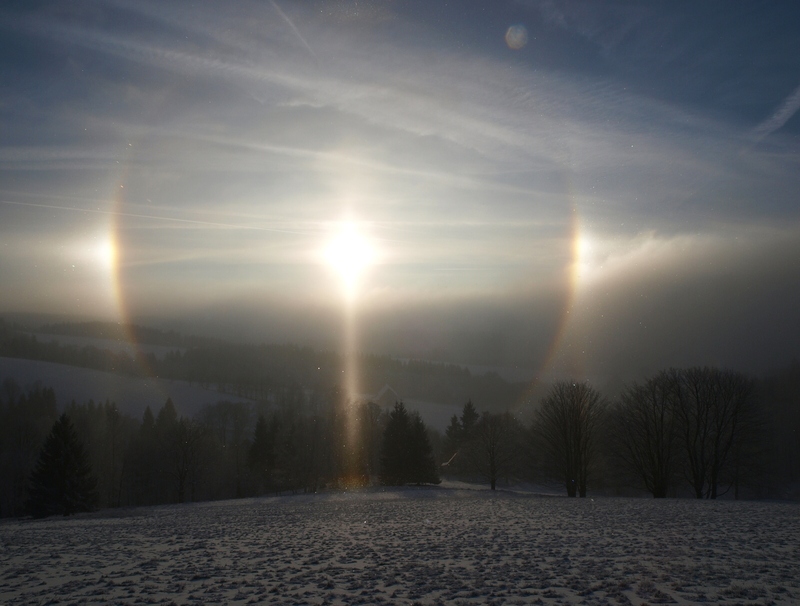 Nice..S.Bernard also got a 22° halo on snow surface. Bright parhelia here. 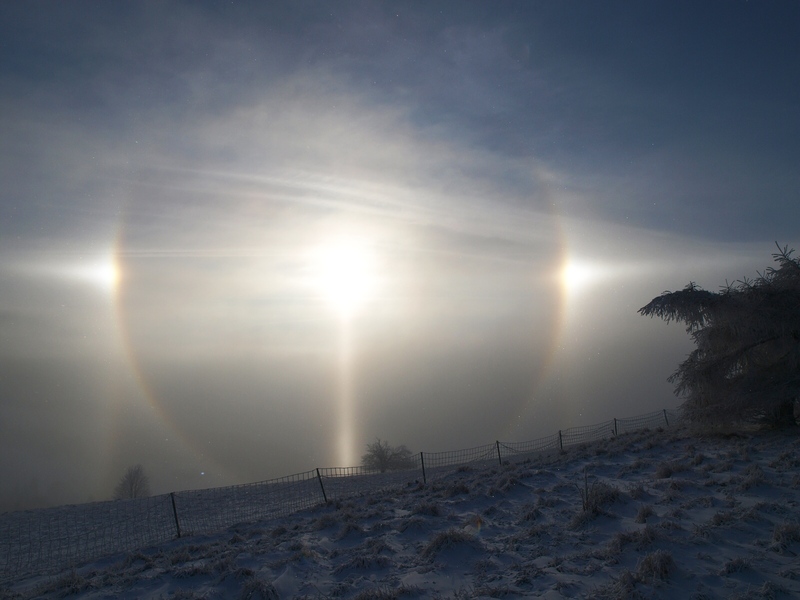 In these sort of displays it is worth photographing wider area, there might be a 44° parhelion lurking there. Hi! I would like to request permission to use this photo for an artice, in a hungarian magazine.